Since they are one of the parts of our body most frequently called into action, feet are subject to stresses that can cause various types of inflammation, such as tendinitis, Morton's neuroma, plantar fasciitis, etc. This strain on the muscles and tissues of the foot can also be extremely painful and persistent if left untreated. Fungal infections, meanwhile, are characterized by thickening and yellowing nails. Neglected, they can spread and also become very resistant. For these reasons, many of the treatment options for inflammations and fungal infections are narrow and ineffective. 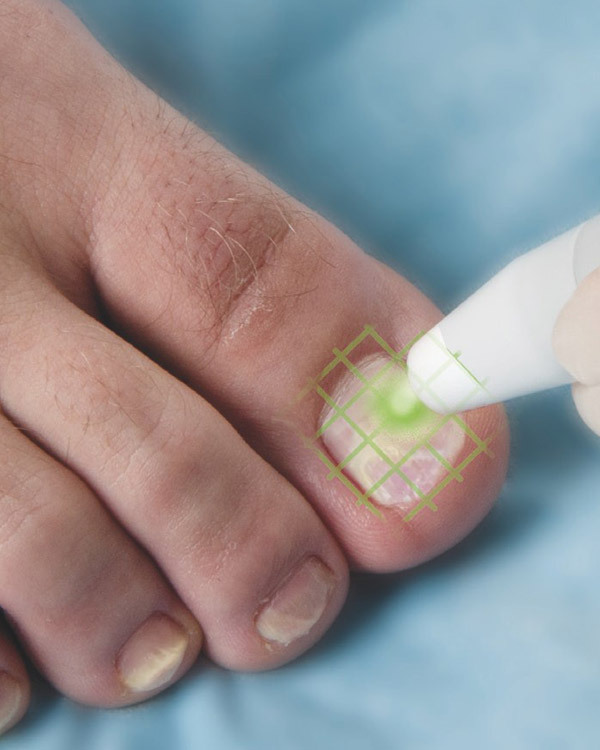 However, technological advances in the podiatric field have resulted in the development of laser treatment. This promising discovery stands out for its safety, its high efficacy rate, in addition to not requiring anesthesia. This laser treatment course is offered in our clinic and is also suitable for people with plantar fasciitis, sprains, or bursitis. Children, like adults, are subject to podiatric conditions. In addition to frequent infectious disorders such as warts, they may inherit certain abnormalities, such as flat feet or other deformities. Because children are often unable to articulate their discomfort, it is important as parents to know how to recognize the symptoms of these conditions. A intoe gait, poor posture of the feet and legs, and exaggerated muscle fatigue are among the signs that such disorders are affecting your little ones. To spare them unnecessary suffering and irreparable harm, it is recommended to make use of the expertise and care of a podiatrist to address the conditions. By means of a training in the field of child development, he will determine the source of their pain, in addition to prescribing the appropriate treatment. Some cases may require the wearing of orthotics. This solution can be highly effective because it can permanently correct some defects that could become intractable once adulthood is reached. Thus, it is recommended to intervene early in child development, to overcome the complications that such pain can cause.